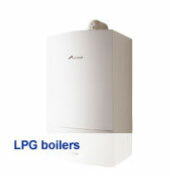 A condensing boiler makes more of the energy it runs on by using heat normally expelled through the flue. By converting over 90% of the fuel used (rather than just 50% in the case of some old boilers), a condensing boiler makes your fuel go further. Therefore, a condensing boiler can help to save you money and reduce your carbon footprint. Combi is short for ‘combination'. 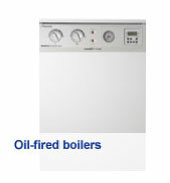 It refers to the way this type of system serves as both a central heating boiler and a hot water heater. That means there's no need for a water tank as hot water is provided on demand. As well as saving the space normally taken up by a water tank (in the loft or airing cupboard), a combi boiler saves on hot water costs as well as giving you hot water at mains pressure. This typically forms part of a conventional heating system, and is linked to a series of water tanks that feed the boiler and radiators. 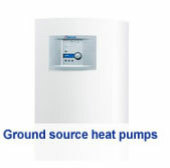 Storing hot water is key to this system, so unlike a combi, a plentiful supply of hot water is always available. Space in the loft and airing cupboard is required for tanks. Like a regular system, this uses stored hot water. But because the water is pumped from the boiler straight to the radiators and hot water tank, it's a faster, more economical system. What's more, many of the components of the system are built-in, making it easier, quicker and more affordable to install. Worcester Greenskies Solar water heating panels. Our high-efficiency Greenstar boilers are helping cut the amount of fossil fuels we use to heat our homes. But we're committed to doing even more for the environment. Our range of alternative systems is growing all the time as we develop products that use renewable, sustainable sources of energy to provide you with hot water and heating all year round. 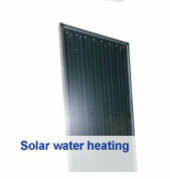 Solar water heating panels convert the energy from the sun into heat in order to produce hot water for the home. Worcester's Greenskies solar panels systems can provide up to 50-70% of the hot water requirement for your home, providing the system has been well sized. 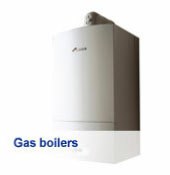 The panels complement existing heating systems that use a regular or system condensing boiler.